Asia’s fashion spotlight shines brightly on Hong Kong when the highly anticipated CENTRESTAGE returns to the city on September 5-8, 2018. The four-day event, held at the Hong Kong Convention and Exhibition Centre, is Asia’s premier fashion extravaganza with a vibrant showcase of Asian and international fashion brands and designers, an interactive exhibition with industry-led seminars and robust networking opportunities, and the show-stopping opening gala show, CENTRESTAGE ELITES (September 5) featuring Asia’s most celebrated designers. This year’s CENTERSTAGE focuses on the theme of “TOMORROW LAB”, a concept most clearly embodied by the CENTERSTAGE ELITES who will display their latest 2019 Spring/Summer collections for an audience of international trendsetters during the first evening of CENTRESTAGE. This year’s selected designers include Japanese streetwear label FACETASM by award-winning designer, Hiromichi Ochiai, who will share the latest from his avant-garde, urban-centric collection. Hong Kong’s own IDISM will unveil its newest line of ready-to-wear womenswear, following the success of their latest brand campaign with fitness entrepreneur and super mum, Belinda Koo. The design duo behind the IDISM, Julio Ng and Cyrus Wong, attribute the label’s elevated yet refined vibe to the spirit of Hong Kong women, which they describe as “gracefully sophisticated with understated flair”. Since its debut in 2016, IDISM has quickly caught the attention of Paris Fashion Week, where it has participated several times, and was one of Vogue’s Talents in 2017. Also on opening night, Ms MIN, the luxury womenswear label by leading Chinese designer Min Liu, will reveal its latest collection centering around its distinctively modern and classic aesthetic. Each year CENTRESTAGE’s insightful seminars with top international designers have become their own centrepiece and a highlight of this year’s programme includes a talk with acclaimed London designer Martine Rose whose namesake label can be found worldwide at leading retailers including Barneys, Dover Street Market, Isetan and JOYCE. Aside from running her label, Ms. Rose also operates an ongoing consultancy with Balenciaga menswear, and will undoubtedly have a fascinating story to share with invaluable career anecdotes during her seminar. 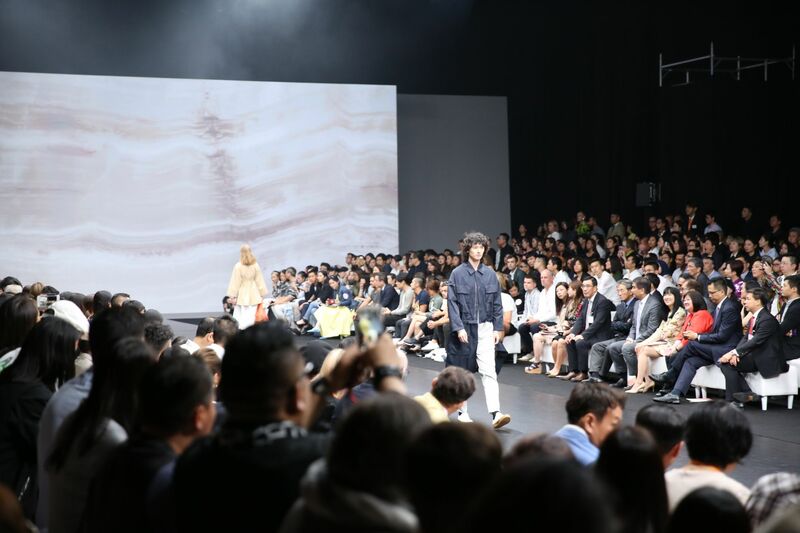 Other highlights include the prestigious Hong Kong Young Fashion Designers’ Contest 2018 (YDC), a yearly design competition that has nurtured emerging talent since 1977, and the 12th annual FASHIONALLY collection which will feature 10 local designer labels presenting their latest collections. With some 230 brands spanning the globe in attendance and about 40 events, including more than 20 fashion shows taking place during the four-day showcase, 2018 is poised to be a record-breaking year for CENTRESTAGE. For those looking to connect with Asia’s foremost brands, buyers, media and fashions biggest influencers, this event is one not to be missed.